Welcome home to 4915 Quail Ridge Drive located in the beautiful subdivision of Farmwood. This ranch home has been meticulously maintained. 4 bedroom, 2 1/2 bath home that is located over looking the 10th fairway of the golf course. 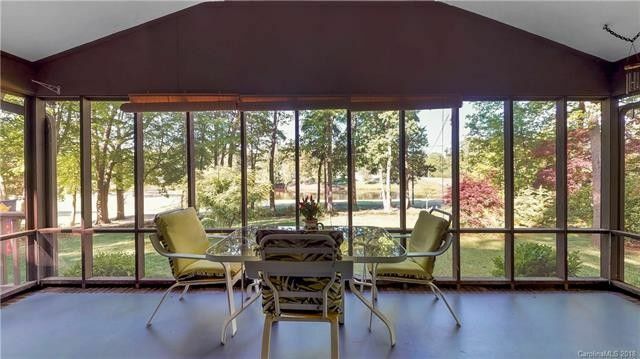 Relax in your screened porch or step out on to the deck to enjoy the view. Lots of natural light. Loaded with character. Plus a craft room with skylights and also included is a home warranty. The seller is also offering a $3500.00 decorating allowance or $3500.00 towards a membership to Pine Lake CC with an acceptable offer. Bring all offers. Directions: From the center of Mint Hill (Lawyers and hwy 51) turn on Hwy 51 towards Matthews and then turn right on Quail Ridge. Follow to sharp right and home will be on left. See Sign.